Everyone in our family loves puzzles, especially my kiddos. Next to books, it's one of the only things I don't mind splurging on, because I feel it's greats for development like hand eye coordination and fine motor skills. I also like to have my kids tell me a story about the photo of the puzzle once it's completed which is great for imaginative play. 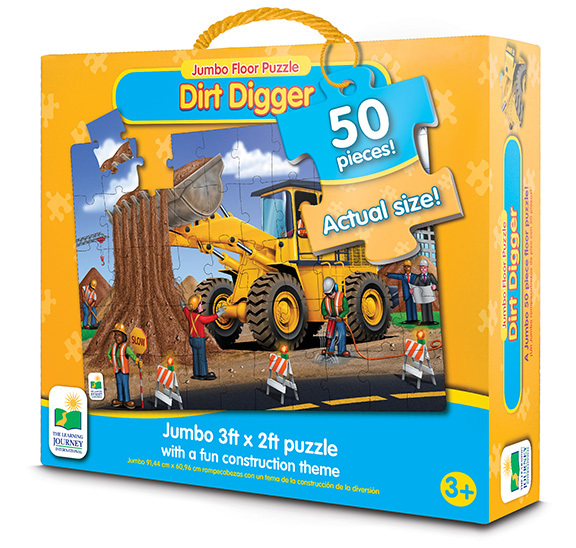 This jumbo Dirt Digger floor puzzle is wonderful for the younger set. The pieces are huge which makes it easier to see and for them to hold and place. 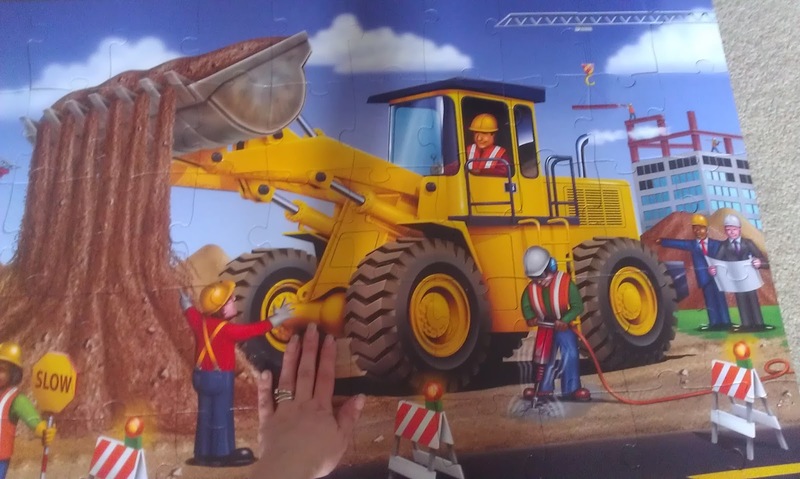 The entire puzzle, when put together measures 3ft by 2ft and has a fun construction theme to it. My son loved putting this one together. You can see my hand in the photo for size comparison. The puzzle itself was really easy for my three year old to put together, although he did need a little bit of help since it was the first time putting it together.